More info:Plus local payment from USD 550. 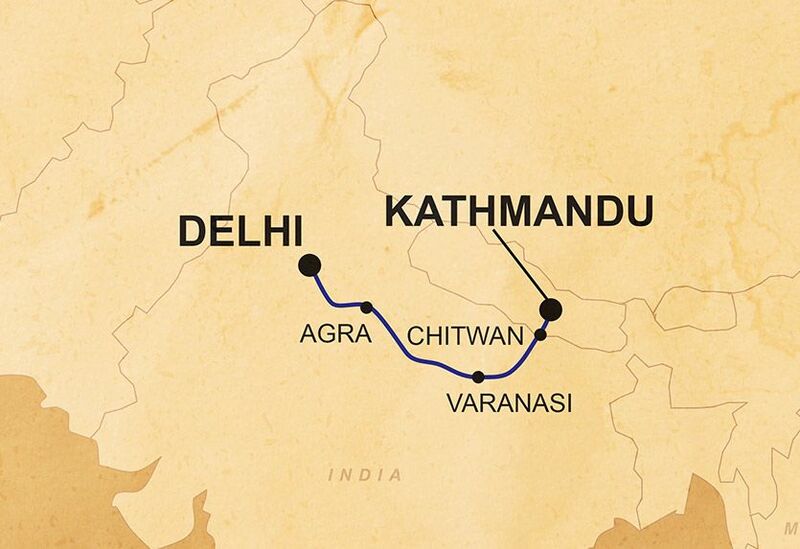 On this epic trip through Nepal and India, we will be travelling overland, using a combination of overland vehicles, boats, and 4x4s, thus cutting out the need for air travel and reducing carbon-emissions. Going overland (by car and on foot for excursions) means you get to experience physically crossing the borders between countries as well as explore places which are off the beaten track. We use local guides and operators throughout the trip; for example, in Chitwan we use a responsible local operator that provides training and employment to many local people as guides, providing them with stable employment in the tourism industry. We also feel it is important that our guests immerse themselves in the culture of their host country and we ensure that we weave experiences that will facilitate this into our itineraries. For example, we visit local markets along the route, and we support and attend the performances of local musicians and dancers keeping the ancient tradition of Thali stick-dancing alive.